The audience for this Northern California Lead Renovation, Repair and Painting Refresher (RRP-R) course includes renovators, remodelers, painters, maintenance personnel, and any other workers removing or modifying painted surfaces. 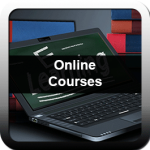 At the end of this online course, you will be required to take a final assessment to test your knowledge of the course material. You must achieve a score of 80% or better to be marked as complete. After you have passed this online training, you will also be required to complete one hour of hands-on training delivered by an EPA-accredited training provider and pass a final in-person exam to receive your EPA Certified Renovator status. Your certification is revalidated once you complete this refresher course. If you do not complete a refresher course every year within your five year renewal period, you will have to re-take the initial course again for certification with the EPA. Please choose a date above to schedule the In-Person, Hands-On Assessment and the Final Examination. You can only proceed to the In-Person training after passing the online course. The entirety of the Lead Renovation, Repair and Painting Refresher (RRP-R) Program, which includes the Online RRP-R Training, In-Person Hands-on Training and Final Examination; must be completed within 30 days of your enrollment date. In order to be certified, you must PASS The Online Training Review Exam, Hands-On Training and the FINAL EXAMINATION. Upon successful passing the Online Training Review Exam, you will receive an email confirmation and certificate of completion. Certificate of Completion: A certificate documenting Lead: Renovation, Repair, and Painting training is awarded to each student who attends and completes the entire Lead Renovation, Repair and Painting Refresher (RRP-R) Program.